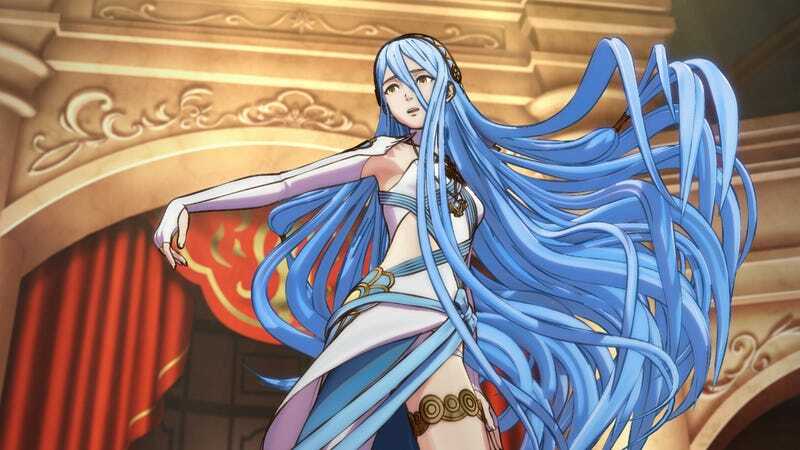 Fire Emblem: Fates launches in Japan this week as Fire Emblem: If. As has become tradition, there’s also a new (and unsurprisingly fascinating) Q&A with Nintendo president Satoru Iwata. The whole thing is worth a read, but I’ve pulled some highlights. This isn’t news, but apparently Fire Emblem: Awakening was planned to be the final game in the Fire Emblem series, since sales were down. The development staff made “Reset? Bring it on!” t-shirts to reflect the “reset” mentality that comes with the Fire Emblem series, as players fear they’ve made a mistake a killed a character. A big focus for Fates was beefing up the storyline, which most agreed didn’t really go anywhere in Awakening. While Awakening was an excellent game to play, I can’t tell you what happened. The story was penned by famed manga writer Shin Kibayashi, who had planned to turn down the project, due to his schedule. Unfortunately for him, his daughter started playing the game. And finally, even though Fire Emblem introduced an easier “casual mode” a few games back, Fates takes this a step further and allows you to revive characters after a turn is over. Nintendo wants players who aren’t interested in strategy games to actually finish it this time around.